Methinks it is an ignorance of liturgical history which gives rise to the minimalistic impression that only the Mass is of obligation to Catholics. Certainly, it is the only part of the liturgy that has formal, legal obligation, but historically simply to be Catholic meant more than going to Mass on Sundays, but also participating in the entire liturgical life of the Church. In the middle ages, public celebration of the divine office was part of Catholic life, and the faithful regularly attended. That died after the Council of Trent, when the importance of the liturgy was reduced to the Mass. Certainly the importance of the liturgy is centered around the Holy Mass, but that is far from all of it. 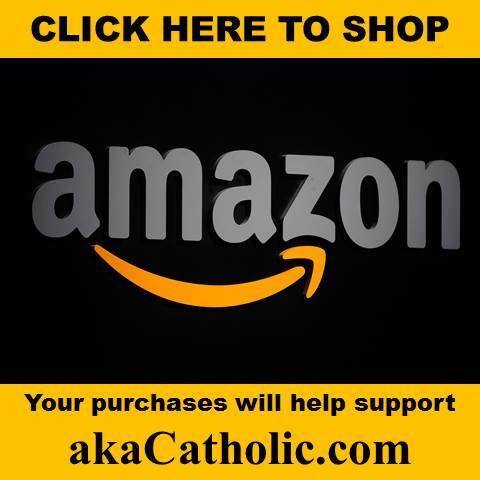 I think it is part of today’s liturgical crisis that the Divine Office is not recognized for its true value, and traditionalist Catholics are just as guilty of that, in most cases, as the rest of Catholics. So while Pius X’s reform may have had a much smaller effect on Catholic life as a whole than Paul VI’s, this is in part because the Divine Office was by that time largely forgotten already. After Trent, the Office practically became private prayer for priests, instead of liturgy, which is public worship. So it was no longer nearly as important as it used to be. While it is true that the nature of Pius X’s changes was less in respect of the content than of structure, unlike Paul VI who radically affected the content, I think modern trads are too accustomed to thinking that only content is important. The arrangement of the old Roman Psalter was not arbitrary, it had its reasons, grounded in the particular spiritual traditions of the Roman Rite and its approach to liturgy. Pius X departed from some of the more essential principles of that tradition. Even though his product might not have anything intrinsically bad in it, it nonetheless was an instance of discarding a very rich tradition that could have been preserved. It was a true loss. It changed in an inorganic way how Roman Catholics had traditionally lived their faith through the liturgy, and it was a departure from the normal, slow, organic development of the liturgy through history. 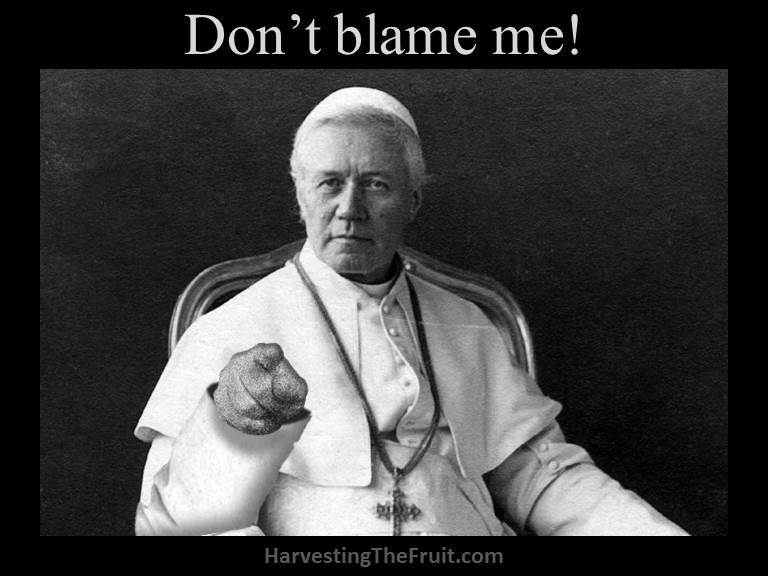 No Pope in history before Pius X had ever used his authority in that way. History after the Council of Trent, especially after Pius IX, shows a dramatic increase in the use of papal power generally speaking. The pope started to have a personality cult, in which everything he says goes. The pope acquired more authority, or use it more, in liturgical matters, where traditionally the liturgy was regulated naturally by tradition and local custom. The pope became the sole arbiter of the liturgy. This development very obviously leads straight towards what we’ve got today, where it is considered rebellious to question what the Pope says, which is why we traditionalists are so ill-regarded. It is precisely that situation in which Paul VI carried out his reform. Certainly, local control of the liturgy can have its abuses too. What we have today is a situation in which both papal power and local diversity are abused. Previously, they existed both in harmony, in such a way as to preserve and protect tradition, and foster organic growth of the liturgy. Local bishops all celebrated the liturgy with certain variations (many of which were quite beautiful), while the pope placed a check on too much innovation. But both were ordered toward liturgical tradition, and governed by it. Pius X was the first pope who carried out so extensive a reform that was not guided by tradition, but by his own personal whims. Then later in the 20th century, local diversity took a similar path away from tradition. So we have chaos today, which has resulted from a series of papal reforms of the liturgy that have run contrary to tradition, in addition to the rampant local “do-it-yourself” liturgy on top of that. Pius X wrote well and taught excellently on the evils of Modernism. As I see it, the essential error of Modernism is to subject religion to man, and not man to religion. Strangely enough, Pius X himself subjected the liturgy to a man, namely himself… Did he fall prey, perhaps unwittingly, to the very error which he condemned? Thanks for the comments, Maestro, you make some good points. I only meant to make the point that the Divine Office is more important than seems to be thought, or assumed (at least in practice), by most traditionalists. If it is as important as I believe it to be, then Pius X’s reform was unjustified and was an abuse of papal power, and resulted in a true loss of liturgical riches. I’m glad you don’t think that the Divine Office is unimportant or the old Psalter arbitrary; most traditionalists, I imagine, might not have a problem with those issues in theory. But in practice, it is treated as of much less importance than the Mass, which seems to be what allows many to dismiss Pius X’s reform as insignificant, when in fact it was very significant. Paul VI was following an example set by popes like Pius X and Pius XII. We’d like to ask: if you object to Papal changes of any kind in the Liturgy, why then are you not insisting on a return to the very first Liturgy which Our Lord himself designed- at the Last Supper? ..and why not also the very first approved version of the Catholic Bible for the Psalter? (Was Jesus not using the Jewish Seder Meal (at Passover), and reclining at Table with His Apostles all around Him? Also, regarding everyone using the Liturgy of Hours regularly, and reciting the Psalter daily; ; and the importance of the Mass. Two points, if you don’t mind:. 1. Most people we know don’t have the time or opportunity, to get to bed early enough to rise early to pray the Hours and the Psalter before going to work. Perhaps they could do it while driving, using a cd, but your expectations sound a bit unrealistic to us, in that area. 2. Can you tell us what is it you use to determine the relative “importance” of Praying the Hours versus the Mass?. We consider nothing to be more important than the Holy Sacrifice, in which Jesus comes to us personally in the Eucharist, and in which the redemption is re-enacted. How can you place a higher value on anything else? I do not object to Papal changes of any kind, only to those which subvert liturgical tradition, as did Pius X’s and Paul VI’s. True, not many people have time or opportunity for praying the office, but I didn’t say that they should pray the entire thing. Moreover, just because circumstances make something difficult doesn’t mean we can still aim for ideals. My basis of judgment for determining the importance of the Divine Office is simply the tradition of the Catholic Church. Certainly it is not higher than the Mass, but its importance is ordered toward and centered around the Mass. The Divine Office and the Mass are not two different kinds of things, but parts of a single, whole liturgy. The old Code of Canon Law includes the Mass in its definition of the Divine Office. Thank you for clarifying all of that. We had gotten a different impression from your first post about a number of those things. 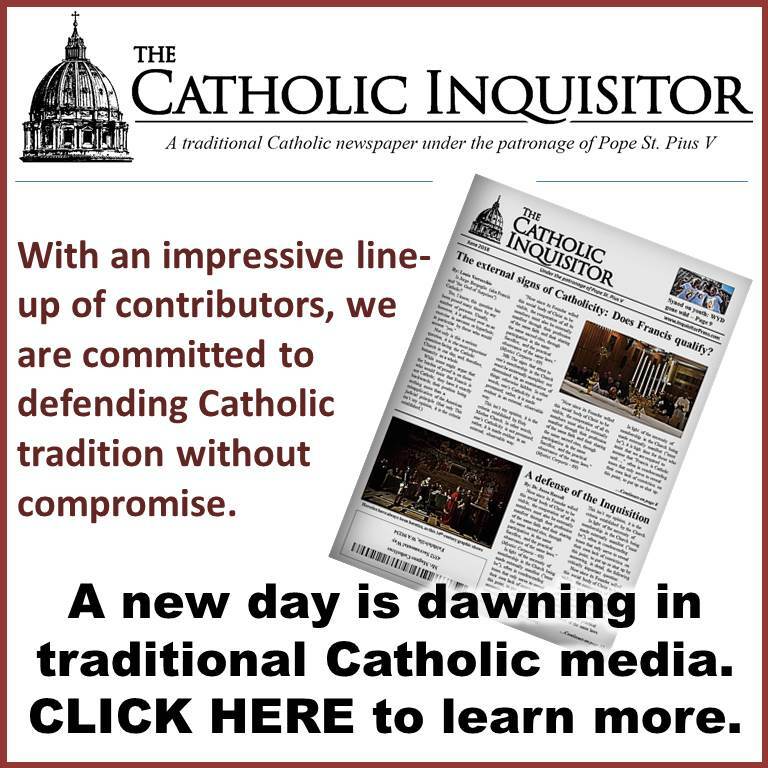 We don’t feel competent to speak about the Pius X’s changes–just have a lot of respect for him and his Holiness–but we do agree with your insistence that it’s good for everyone to try to participate in the prayers of the Church on a daily basis, and how closely the Liturgy of Hours dovetails with the Mass. I don’t think comparing the reforms of Pius X to Paul VI is an apples to apples comparison. 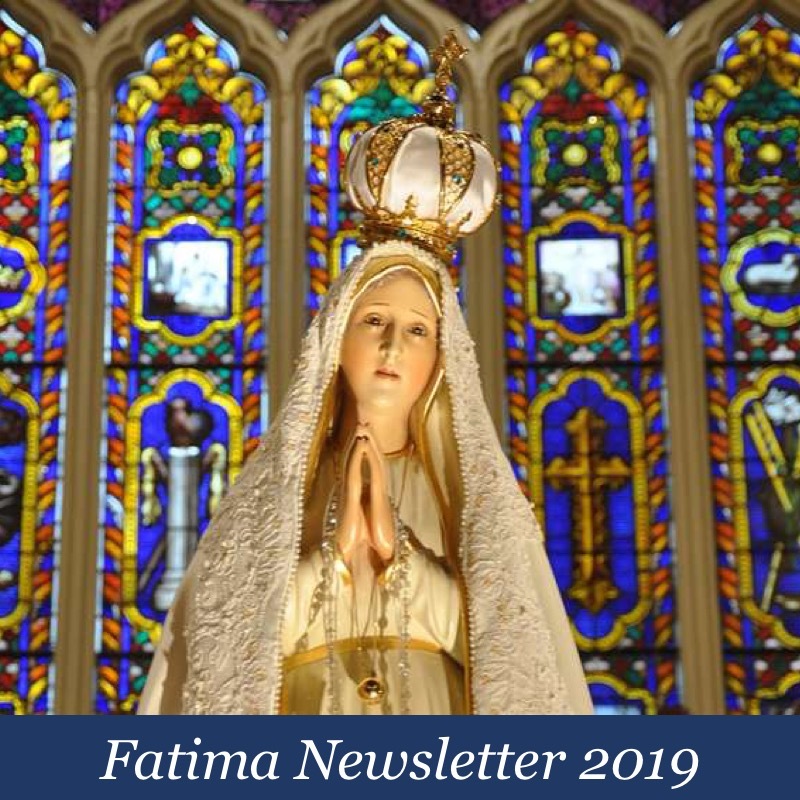 There is a post on Rorate Caeli on this very topic entitled Divino Afflatu centennial – III The Centenary of Divino Afflatu and St. Pius X’s Breviary Reforms: A Personal Appreciation that goes into the reasons for the reform. It wasn’t just Pius X’s idea. 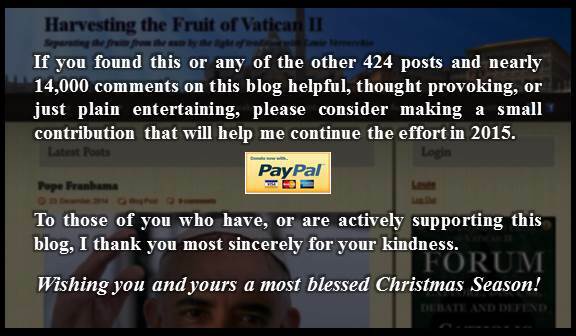 I will try post the link after this, but it will probably get caught in moderation. sobieski – Very interesting. I enjoyed the link. Thanks. Wherefore we teach and declare that, by divine ordinance, the Roman Church possesses a pre-eminence of ordinary power over every other Church, and that this jurisdictional power of the Roman Pontiff is both episcopal and immediate. Both clergy and faithful, of whatever rite and dignity, both singly and collectively, are bound to submit to this power by the duty of hierarchical subordination and true obedience, and this not only in matters concerning faith and morals, but also in those which regard the discipline and government of the Church throughout the world. Oh sure… But nowhere is it stated that a Pope can’t abuse said authority for the worse and make stupid decisions now does it? David had the authority to change battle tactics to kill Uriah in a round-about way. I guess that Nathan guy was just a crypto-sede for exposing David’s crime? Should Captain Ganganelli just follow the orders or God’s ordained King who is the supreme authority over all Israel? Interestingly enough, it is a rather unknown fact that Pius V, a couple of years before he published Quo Primum, also published Quod a Nobis, which is the exact equivalent of Quo Primum for the breviary. Quod a Nobis establishes the exact same legal protection, “in perpetuity,” with the exact same language, for the breviary, as Quo Primum did for the Missal. This means that if the missal promulgated by Quo Primum could not be changed by future popes, and Paul VI violated it, likewise the breviary Quod a Nobis could not be changed by future popes, and Pius X violated that extensively. I, for the record, do not believe that either Quod a Nobis or Quo Primum bound future popes, so I think we have to make a different argument, as I show in the linked article. I just wonder if Monsignor Pope is playing the stalking horse for Cardinal Wuerl and his theological spin on things such as this. The God of Surprises waits in the wings. We’d mentioned earlier how impressed we were with the miracles worked by St. Pius X during his lifetime. The stories are very similar to those about Our Lord, except they took place in settings more familiar to us. -One which amused us-tells of two extremely ill nuns who were taken by taxi to an audience with him. After asking to be cured, he asked them “why”?. They told him they wanted to be able to work for the Glory of God. He cured them both on the spot. They left, so completely healthy and full of joy, that the cabbie refused to drive them home, claiming he would wait for the two dying nuns he had brought there, and they couldn’t be them…. I think Our Lord spared Father Hess the papacy of Bergoglio. I can only imagine what he would be saying. Let us pray to Father Hess for guidance in the “Communion of Saints”. The problem with the N.O. Mass is the new theology. The post V2 church won’t admit it, but this “tongue in cheek” article says it all, Not really satire. It’s HERE! Despite the reported increases in FSSP and SSPX attendance, the emerging picture of what lies ahead for the Faithful seems rather bleak, without Our Lady’s Triumph and the Collegial Consecration of Russia happening very soon..
As earth-shattering as the ongoing “Team-Bergoglio” self-excommunications are,-and they shouldn’t be underestimated, we agree– that road logically leads to even worse divisions at the top. Each cardinal has both enemies and supporters, who will be denouncing either the validity of the allegations against him or his denials of same. And with them all sworn not to discuss the conclave, can they even be forced to talk about these issues? 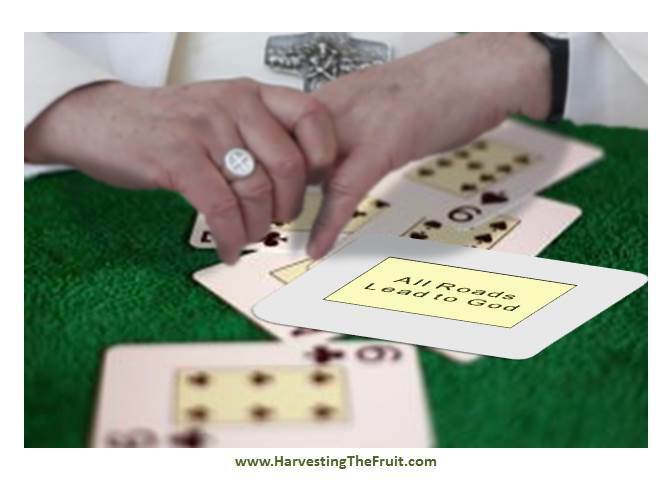 – What happens if Francis retires early due to ill health, or dies suddenly? What if (God-forbid) he named a successor before retiring, which is also a papal prerogative? And all this could be happening as own election’s validity is being seriously questioned–which it is. And are the Cardinals he is about to name in February, going to be valid Cardinals , eligible for the next conclave? What a mess! Good thing we DO have Our Lady’s assurances, because the people in charge right now are really “making a mess of things” in obedience to the Pope’s directives.. Even the secular world doesn’t like the new liturgy! 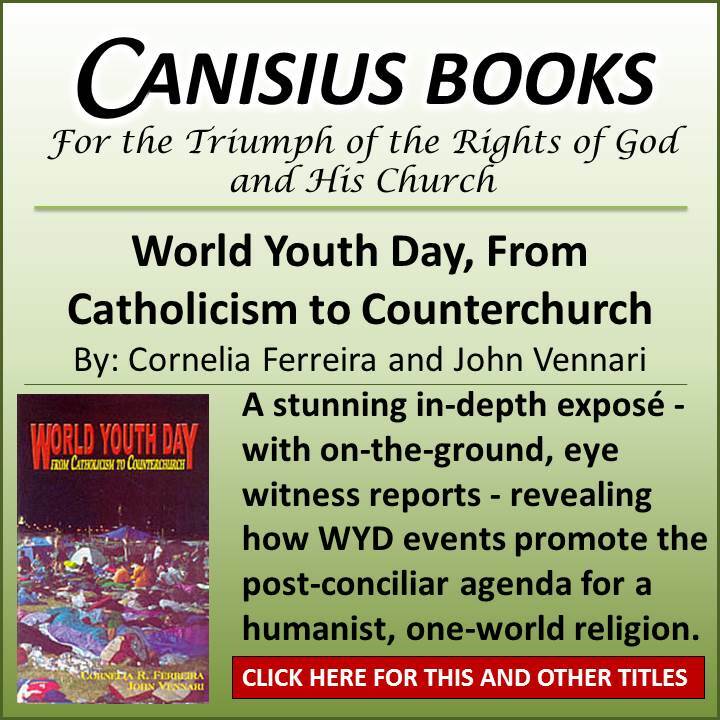 “–Pope Francis has since then belied all these arrogant predictions.–Besides battling the Vatican court and their interests, he launched a crusade to take Catholicism back to being in touch with social movements, embracing their goal. –He struggles to reform the Church’s discourse on civil rights, including subject that had up to now been forbidden, such as the welcoming of sexual diversity and the defense of women’s health when faced with religious dogma. –He reached out his hand to the Latin-American left, supporting Progressive experiences and disavowing the links between Catholic organizations and conservative conspiracies. Hope the Faithful Cardinals are paying attention. Yes, how all the atheist, God-hating, evil-promoting elite laud him. He is manna to them and their evil causes. Blessed Michael, the Archangel, defend us in battle . . .
Dr. Alcuin Reid says in his book on the liturgical movement the St. Pius X considered changes to the liturgy as well but died before getting very far in the project. Also, although most lay people are unaffected by the Divine Office, monks are and the liturgical movement was driven by monks, especially Dom Lambert Baudoin.